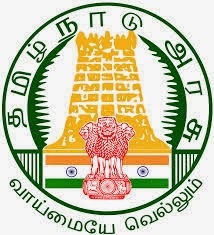 TNPSC Group 2 Notification 2015: The Tamil Nadu Public Service Commission(TNPSC) released the recruitment notification on 30.04.2015 regarding Group II CCSE 2 examination. This Combined Civil Services Examination is based on interview posts. There are so many number of vacancies available in Assistant Inspector, Senior Inspector, Sub Registrar, Revenue Assistant etc. Candidates those who interest and eligible can fill the TNPSC Group II online application form 2015 and apply before 29th May 2015. The TNPSC Group 2 preliminary examination is likely to be conducted on 26th July 2015. The TNPSC group 2 education qualification 2015 7 age limit for above posts is vary for each posts. To apply for this posts you must have any Bachelor’s Degree from recognized organization or university. Visit official recruitment notification for further updates. To find the TNPSC group 2 CCSE 2 age limit just see below. The age relaxation is applicable for SC, ST candidates as per the government rule. Preliminary Exam: Rs 125/-(Rs 75 exam fee+ Rs 50 application fee). Candidates can pay the examination fee through online mode(debit card, credit card, net banking) or offline mode(Demand Draft / Postal Orders/ bank) etc. Preliminary exam time: 10:0 A.M. to 1:0 P.M. Step 1: First log on to official TNPSC website www.tnpsc.gov.in or www.tnpscexams.net. Step 2: After enter provide your Name, address, Community, education qualification, date of birth, email-ID, exam center etc. Step 3: Before that you must have the scanned photo and signature for registration. A valid email ID and phone number is required. Step 4: Pay the payment through offline or online mode as above mention. Step 5: You can visit application form after apply by using Unique ID & password you provided earlier.